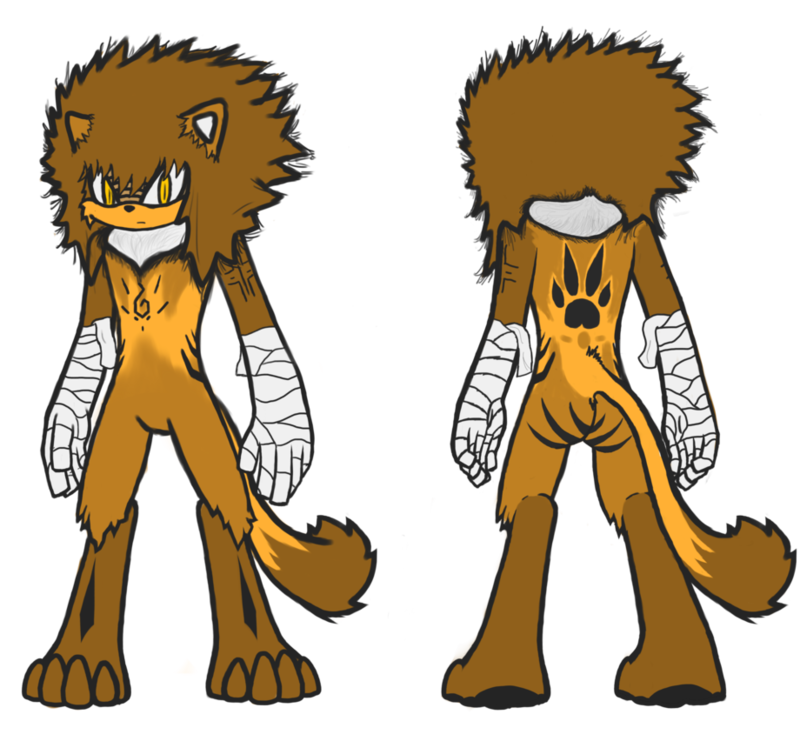 Solo The Lion is a Mobian lion from an exiled tribe in blazes world. Typically he is the scout of his tribe, his tasks are normally to observe other tribes around, and hunt for food with his bow and arrow. The reasons for exile are for attempted theft (His leader/chieftain Kyro was the culprit, thus exiling all following him) they almost got away with this heinous crime of theft until blaze caught them in no-mans land, where they intended to begin anew under the power of the scepter. After being discovered, Blaze The Cat attempted to attack the chieftain, typically with her fire attributes, however, Solo was literally dragged in front of the chieftain, acting on impulse, he swung his arms up and covered his face, severely burning his forearms. Even after a month of recovery rituals (Soaking hand wraps in cold nettle juice, for example) they proven ineffective, aside from preventing scarring to the tissue, the burning sensation within his arms still persisted to exist, the only way he can rid of it temporarily is to simply soak the bandages with water, and wait it out. Solo is normally very passive, normally avoiding conversation, and taking orders seriously, he prefers doing his tasks alone, often requesting or rejecting the idea of having a team. Although he is quite calm and collective, he can get excessively hot headed quite quickly. To put simply, if constantly agitated, he'll probably claw your head off. Title pretty much sums this up, lets get down to character information shall we?